The platinum derivative cisplatin is widely used against many types of cancers effectively. However, cisplatin has limitations such as toxicity, resistances, and being thermally labile, non-volatile, and highly insoluble. To overcome these limitations, cisplatin with platinum(II) as metal centers needs to be modified to platinum(IV). Modification of platinum(IV) of cisplatin ligated to an organic ligand in the axial position could be a strategy to reduce its toxicity and increase the lifetime in blood when administered as an oral prodrug as an anti-cancer agent. The complex also has potential to be employed as a linker in bio-metal–organic frameworks (bioMOFs) synthesis and has good stability. Cisplatin-modified ligand also has a large size which can affect to the pore size on bioMOFs. Isonicotinic acid is a pyridine derivative with pyridine and carboxyl as an active group that can make coordination with metal ions on bioMOF assemblies. In this study, a simple and efficient method for the synthesis of a novel cisplatin-modified isonicotinic acid, nicoplatin, was reported. A substitution reaction possibly occurs on the axial position of oxoplatin by isonicotinic acid ligand. The obtained compound was fully characterized with FTIR, 1H-NMR, 13C-NMR, ESI–MS and elemental analyses. 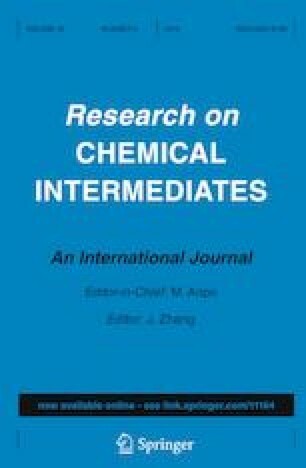 The online version of this article ( https://doi.org/10.1007/s11164-019-03784-6) contains supplementary material, which is available to authorized users. This work was supported by the Erasmus + Mobility Programme associated with the Institute für Anorganische Chemie Universität Leipzig Germany and Ministry of Research, Technology and Higher Education of Republic Indonesia (RISTEK DIKTI) in the scheme International Research Collaboration (PKLN) project number 474/UN27.21/PP/2018. The authors wish to thank Sara Durini PhD, Rafaella Precker MSc and Prof. Dr. Dr. hc. mult. Evamarie Hey-Hawkins for their helpful assistance and suggestions during research at the Institute für Anorganische Chemie Universität Leipzig Germany.